To enhance your chances of a very competitive job market you need to raise your qualifications and prove your skills. Personal development – you will acquire new skills. 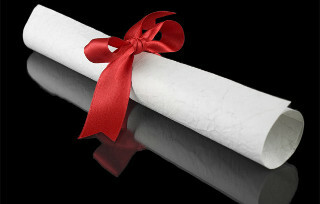 The ability to obtain a certificate is a great motivator, it gives you the desire to learn. You receive clear guidelines for what to learn, you are not distracted by thousands of things, so that learning becomes more effective. It is a good way to increase your knowledge and professional skills. Of course it is an excellent way to supplement your education. You will enrich your professional profile, your CV or website, with a professional IT certificate. With certification you will confirm and authenticate your professional skills. You have a good argument when you are applying for a better job or better salary. Most hiring managers use certification as a part of their hiring criteria during recruitment. Most employers say IT certifications help to distinguish between equally qualified candidates. HR executives say IT certified workers are more likely to be promoted than those without certifications. IT certified individuals get higher salaries. Every positive aspect of your professional development matters. Both your experience, skills, portfolio and certificate which confirm your knowledge affect your professional success.